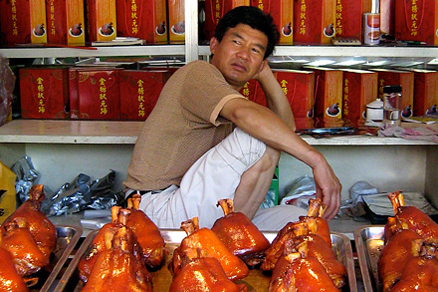 Last Saturday Fred Ferretti wrote in a New York Times editorial about the poor state of Chinese food in America. Similarly last June Tim and Nina Zagat wrote an editorial, also in the New York Times, regarding the sorry state of Chinese restaurant food in America. These editorials highlight my biggest Chinese cooking complaints in America: 1) American public does not have good understanding of authentic Chinese food. 2) American food writers are not familiar enough with Chinese ingredients and techniques to write about them. 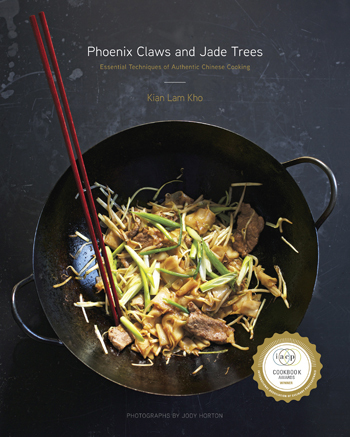 3) We always end up with writings about Chinese cooking with a fusion twist. How can you appreciate the play on fusion cooking if you do not even understand the bases? I would like to be a little philosophical today, if you allow me, and discuss some of these issues. I think there is a sudden confluence of factors that is making interest in Chinese food a current and urgent matter. One single most important factor I believe was the opening of China itself, making it possible to import ingredients and cooking knowledge. Another factor, which is really the result of this opening, is the increasing exposure of Chinese food to Americans working and traveling in China. Furthermore, the opening of Chinese society itself also made it possible for many Chinese chefs and home cooks to revive the long revered culinary traditions from different regions. The California railroad workers first introduced Chinese food to the American public during the early twentieth century, as mentioned in both editorials of the New York Times. Travel across the Pacific then was a long and arduous journey. Consequently ingredients for Chinese food were practically unattainable. 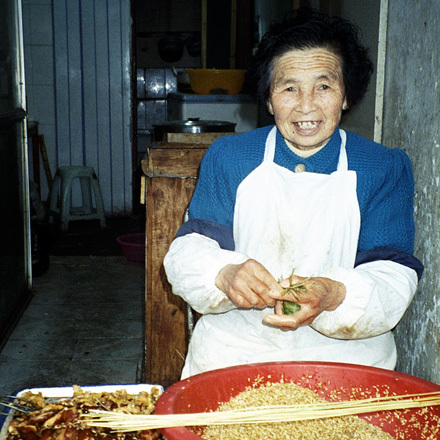 The result was Chinese food made with substituted local ingredients, as well as rudimentary cooking techniques practiced by the workers. What exacerbated the problem even further is the closing of China during the thirty years or so period after the Second World War. Other Asian cuisine enjoyed widespread adoptions during that time, as Americans were beginning to travel overseas regularly and getting exposed to their cuisines. Unfortunately exposure to authentic Chinese cooking then was limited to food in Hong Kong and Taiwan. It wasn’t until the reform by Teng Xiaoping in the 1980’s when the resurrected Sino-American commerce began to supply local Chinese markets with increasingly more varieties of Chinese food ingredients. Unfortunately these markets are located in Chinatown or areas where there are high concentrations of Chinese population. The regular markets serving American public are still trapped in the chop suey and chow mein era. We must educate these grocers and demand that some basic authentic Chinese ingredients be made available. At the very minimum the ingredients from the Starter Kit I posted a few weeks ago should be made easily obtainable. I completely agree with the Zagat’s editorial that Chinese cooking knowhow should be allowed to enter the U.S. by granting more visas to qualified chefs. We will not be able to advance the acceptance of authentic Chinese food without proper cooking knowledge. These knowhow can exist in the form of better restaurant food, and better media coverage just as Fred Ferretti suggested in his editorial. 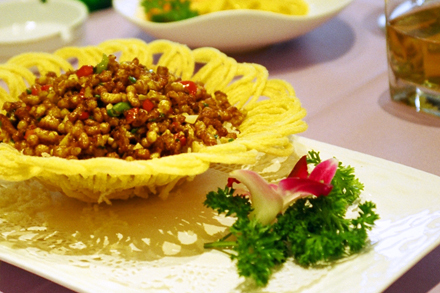 Regional Chinese cooking has been enthusiastically revived in recent years in China. Many chefs in restaurants, as well as home cooks, are going back to their family traditions and recipes. This is a very exciting moment for Americans to learn about these regional cooking. Contrary to many debates, there are indeed eight widely accepted major regional Chinese cuisines (中華八大菜系): Lu (魯 Northeast China), Hui (徽 Anhui), Su (蘇 Jiangsu), Zhe (浙 Zhejiang), Yue (粵 Guangdong or Canton), Min (閩 Fujian), Chuan (川 Sichuan) and Xiang (湘 Hunan). Sadly ethnic divides also tinge this list because it does not include many of the minority people living in the Western, Southwestern and Inner Mongolia areas of China. This is the list of the Han (漢) people, who dominates China demographically and politically. Though one could argue that those minority regions should probably not be part of China. But that’s a separate political issue. During the last few years I noticed increasing number of Chinese food blogs actively discussing their regional cooking. I encourage those who are able to understand and translate Chinese to share what they can learn from these blogs. I am doing my part. I call on all Chinese cooks professional or amateur to help spread their Chinese culinary knowledge. What can you do? I urge everyone to make the effort of starting to cook authentic Chinese food. I will be posting more recipes here and they are all very practical in the American kitchen. You should also demand your local grocers to start stocking authentic Chinese ingredients beyond the customary soy sauce and hoisin sauce. Then come back and report your experience on this blog. Together we can help improve the state of Chinese food in America. Hello! Just wanted to note that I am really enjoying your blog. This post brought home to me that in Melbourne, Australia, where I live, we take good Chinese food for granted. I suppose that it is the proximity to Asia that allows us to enjoy all the relevant produce at it’s freshest and a migrant population that enjoys the food of many cultures that encourage people to open restaurants. Of course the food of remote regions in China is not available to us and initially our food was of a Southern Chinese bias, but with the increasing number of Chinese immigrants we are discovering a wider offering of regional cuisines. We do also suffer the indignity of food critics who know little about Asian cuisine, but I think that most proprietors are not fussed, as word spreads quickly amongst Asians when a good restaurant is discovered. Westerners are not considered good clientele here by Chinese Restauranteurs, because theyare known to sit in the venue long after the meal has been served, not allowing for tables to be turned. When visiting China I was not prepared for such a difference in taste when in China compared to America. I have to admit I was not prepared for such a difference in the way the food tasted in Bejing and it was almost cultural shock. I never expected that difference it is a totally different taste. At first it took some getting use to but once I did I enjoy every minuite of it. How nice to see you doing this here in the USA it will be great to see visas given to chefs to bring this authentic food here to America as I would have never had the opportunity to expeeriece the differnce had I not traveled to China. Good Luck and I hope I get invited to your fant astic home again I was there once with Jackie. Thank you for doing this and will continue to visit your website. Kian I forward the bolg to my boss Donna and she loved it so much. She said her husband and her are now very into it and like to invite Larry and me to the Chinese dinner they cook by your receip. I will forward your blog to more friends and later… I will be invited to more home made Chinese dinner. Hahaha! I’d like to suggest that there is in fact some very good and authentic Chinese cooking to be found in the US, but it’s found in the sort of local, unsung places that pple like the Zagats and Ferretti don’t know about. Spring Moon in Chicago (which may have closed recently) for example serve(d) wonderful Yunnan dishes, including stews of a variety of dried mushrooms that the owner got from a mushroom dealer in Yunnan. Several years ago in San Francisco a chef from Nanjing opened a very small restaurant and served a menu determined by price – pay $50 for example and you get a parade of 8 exquisite dishes, pay more and you get more – all prepared by himself. (I don’t know if that restaurant is still around or not.) The problem was that you had patrons griping about paying 40 or 50 dollars a head for Chinese food, despite the amount of labor that went into these dishes. I don’t think ‘importing’ chefs from China is the answer – seeking out the great Chinese food that’s already in the States – and promoting it, and being as willing to pay for exquisitely prepared, authentic Chinese food as we are for, say, Italian or French food – is.